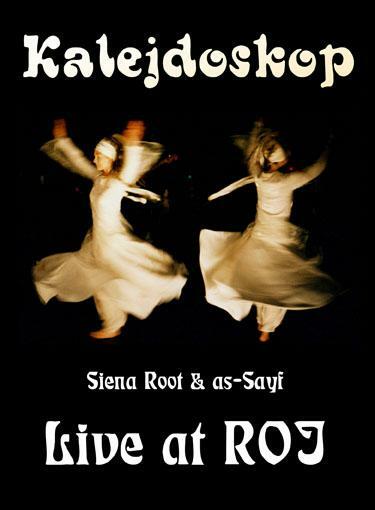 Siena Root and as-Sayi - "Live at ROJ"
Siena Root is back with their second professional DVD, the first being live from Rockpalast German TV. This was a very special concert with a dance group called as-Sayi performing special dances to the Siena Root songs. It was recorded back in March 2007 and features the line up with female singer Sanya. The DVD is set up very nicely starting off with some interviews with the band and those involved with the event, followed by the concert and then some more interviews. Very well produced and a nice sound and amazing playing from the band. The tracks are all from the bands first two records. I really liked Crossing the Stratosphere and the version of the great song Mountain II. Reverberations was to have KG playing sitar but it was broken so the band had to improvise and it worked out great. A very impressive DVD. 55 mins.